The Department of Library & Information Science (#citylis) hosts a Mashed Library ‘Unconference’ on 13th June in the College Building. On 13th June, City University London’s Centre for Information Science in the Department of Library & Information Science (#citylis) will be hosting #citymash, a Mashed Library ‘Unconference’ in the College Building – a day of workshops and discussion where people interested in libraries and technology can connect, develop new ideas, encourage interdisciplinary thinking, learn new skills and have fun. Sessions take place from 10am to 5pm in rooms A110, A108, A109 and A111. The objective of #citymash is to bring together people interested in doing things in the library with technology and examine new and existing ways of using technology in libraries and other information environments. It will feature hands-on activities and participants are encouraged to bring their laptops with them. Guest Wi-Fi and Eduroam will be available. 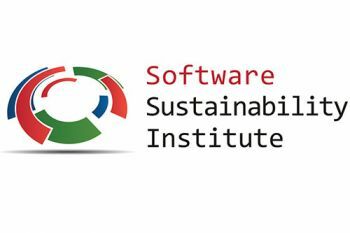 #citymash has been kindly supported by the Software Sustainability Institute. The Software Sustainability Institute cultivates world-class research with software. The Institute is based at the universities of Edinburgh, Manchester, Southampton and Oxford. #citymash is also supported by figshare, a repository where users can make all of their research outputs available in a citable, shareable and discoverable manner. Participation is free but registration is required due to limited audience capacity. Get your tickets here. An unconference is a conference organized, structured and led by the people attending it. Instead of passive listening, all attendees and organizers are encouraged to become participants, with discussion leaders providing moderation and structure for attendees. Unconferences have become popular as an alternative to the panel discussions and keynote speakers featured at traditional technical conferences. When you die, who gets your Facebook?